Since 1985, we’ve helped families fill their homes with the sound of children’s laughter. And we could do the same for you. Pacific In Vitro Fertilization Institute is Hawaii’s first IVF clinic. 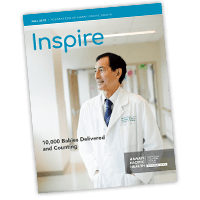 Since opening its doors in 1985, more than 6,500 babies have been born to couples in Hawaii, and around the world, helping to achieve their dream of starting a family. Our Honolulu fertility clinic and experienced staff offers you leading edge In Vitro Fertilization technologies which include Intracytoplasmic Sperm Injection (ICSI), Donor Egg IVF, Fertility Preservation (Egg Freezing) and Preimplantation Genetic Screening and Testing (PGS/PGT).